It’s been a long day. I left my house in Illionis at 4:30am Central time. I arrived at my first destination in North Carolina at about 5:30pm Central time. That’s 12 hours of travel. 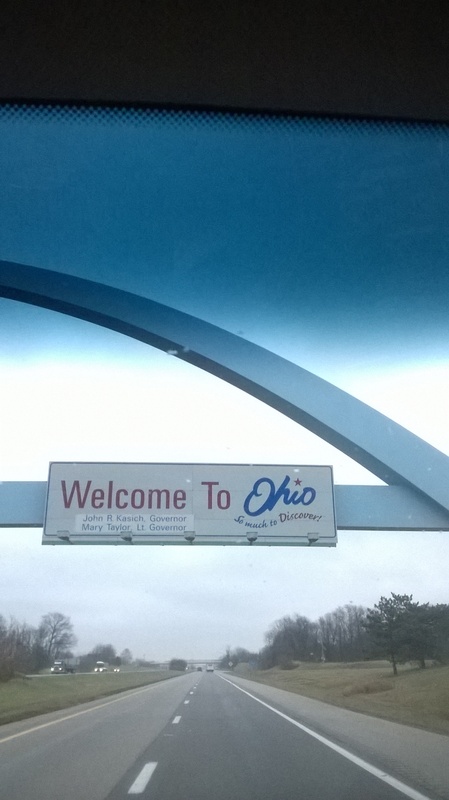 In that time, I was in 6 states – Illinois, Indiana, Ohio, West Virginia Virginia, North Carolina. Whew! A lot of driving. Fortunately, I love to drive, so it works out. So I’ve gotten to spend a nice evening with friends. And I got to meet the wonderful Lucy McMan-West. Nice pic, Carleen! I used to see that very sign on average every couple of weeks. Next time stop for a cuppa! Thanks for stopping in, RJ. I do usually try to stop, but I was on a bit of a time table for this trip. 🙂 I’ll take more rests on the way back home. I do think you’re nifty. Just sayin’.